The dimensions of the acrylic panels are 42” x 48”. 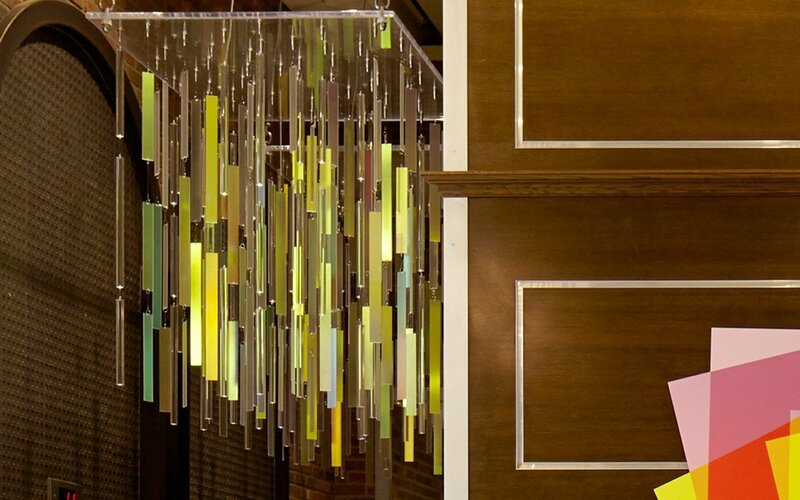 The individual "necklaces" are dichronized acrylic and acrylic rods. Each "necklace is between 3 and 4 feet long. 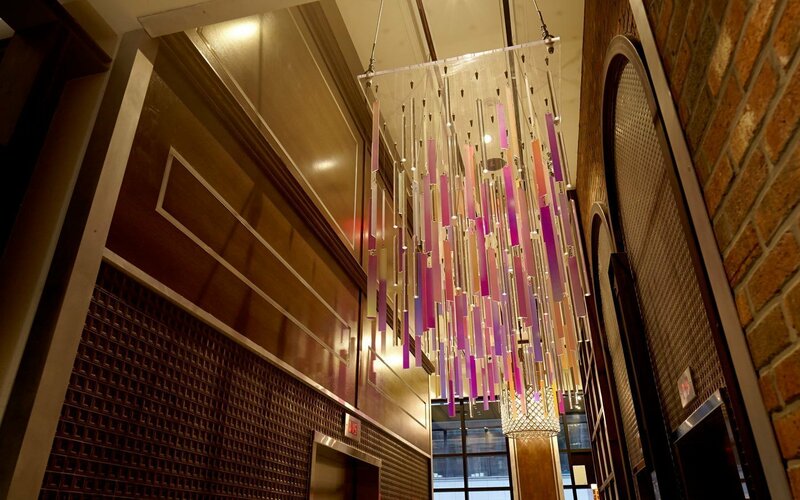 Huether created these magnificent suspended sculptures exclusively for Archer Hotel in Manhattan, NY. 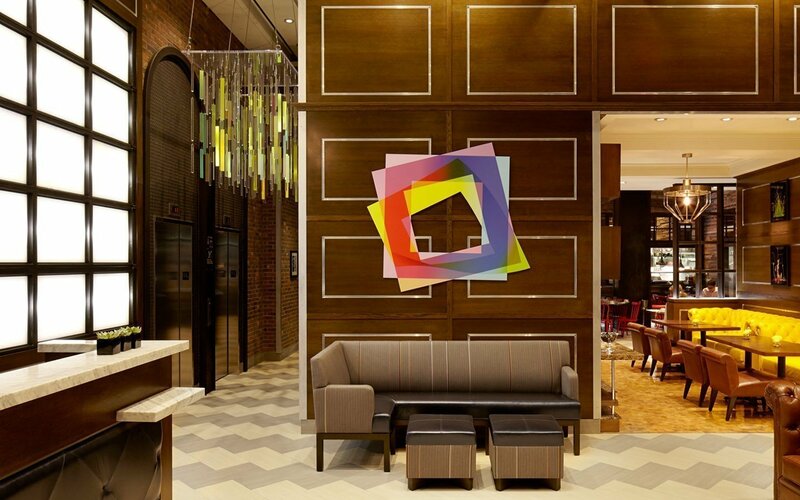 With its world renowned tastemakers in fashion and fine art, its museums, historical ateliers and its exponentially growing gallery scene, New York City has long been an art metropolis to follow. Light and its manipulation have been a pivotal point and core element of Huether’s oeuvre. 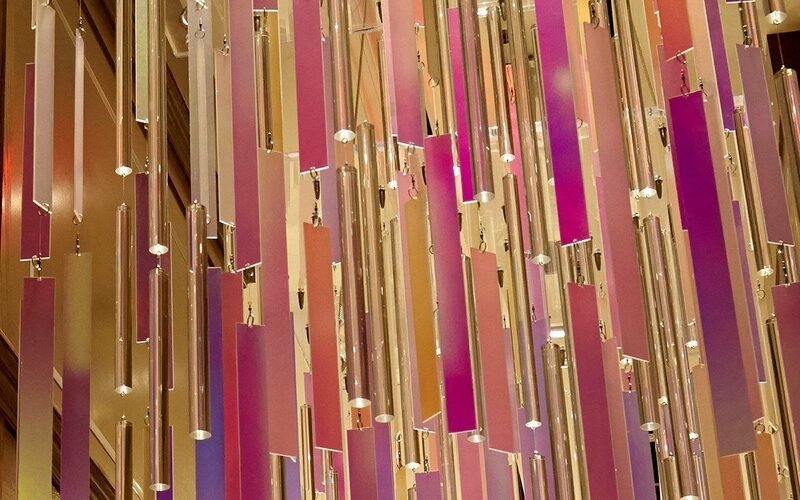 The abundantly sized sculptures suspended above the elevator doors in the lobby space at this NY Boutique Hotel, reflect this exact interest, bringing a magnetic allure and bedazzle to the Hotel while perhaps subtly referencing New York’s notorious cultural diversity.